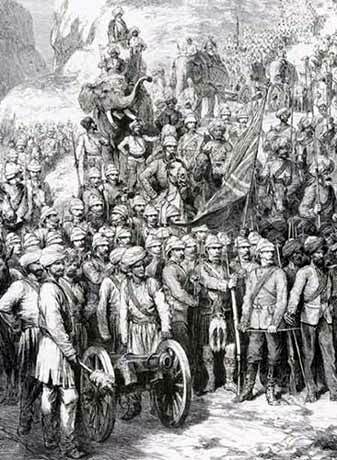 In the aftermath of the Indian Mutiny, whether the Indian Army was exclusively for garrison purposes (at its furthest extent, the invasion of bordering states), or if it could be deployed overseas was a matter of some concern. Trust in the native infantry regiments reached its nadir in the wake of the Sepoy Rebellion, but when the Emperor Tewodros of Abyssinia began holding British nationals hostage in 1866, they were the nearest available option for the British to deploy. Thanks to the telegraph, a force of 13,000 led by Lieutenant General Robert Napier that included four Native Cavalry regiments and ten Native Infantry regiments (with only a single cavalry squadron and the artillery fully manned by Britons) arrived within two months of receiving Queen Victoria’s orders. After a brutal three-month, 400-mile trek through mountainous jungle and desert, the expedition reached Tewodros’ stronghold. The brief battle of two hours resulted in 700 Abyssinian deaths and 1,200 more wounded. The British (including native troops) suffered twenty wounded. Not one was killed. The Indian Army had proven itself more than capable of serving outside the provinces from where it was raised. 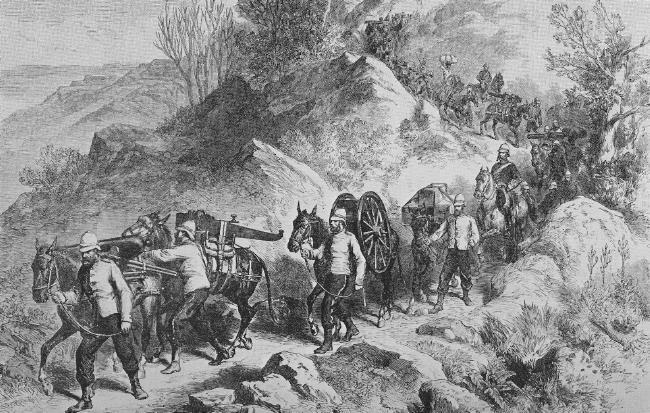 The first “acid test” for the Indian Army came in Afghanistan, when Muslim units from the Punjab were deployed to the overwhelmingly Muslim country during the Second Anglo-Afghan War. Early on in the campaign, there were at one point eighteen deserters in a single night, and several men suspected of “giving warning” to the enemy were court-martialed, but on the whole, the performance of the army was “fairly reassuring.” Time did nothing to alter that opinion. The performance of Indian troops in British service had been almost universally exemplary, and it might have been expected that the doubts of the British military command would have dissipated in the face of real results. Perhaps it was echoes of the Mutiny, perhaps it was latent racism, but either way there remained an almost permanent apprehension about the loyalties and quality of Indian soldiers. While Kitchener wrote often about the need to set aside those misgivings, until the end of World War II there was at least one white British infantry battalion in every Indian brigade. Alas, there was but a temporary respite, as the puppet khedival government in the Sudan was incapable of repulsing the attacks of Mahdist forces, as was the token British garrison in Khartoum. A new army was being raised in Egypt for the purposes of retaking the Sudan, and this required ‘selective’ conscription, which fell on the peasantry. Kiernan notes the usual contingent of black Africans from the far south, “whose ‘delight in flag-flying and military parade and drill’ could be turned to good account.” The British were by no means finished in Africa yet; not by a long shot. While the British were establishing their empire and solidifying control, France had acquired much of Indochina and several islands in the South Pacific and Indian Oceans. 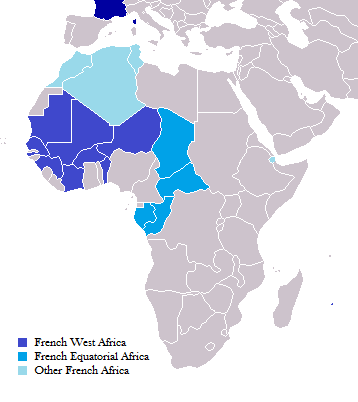 Gradually, the northwestern portion of Africa was claimed entirely by the French. Tunisia was established as a protectorate in 1881, and by the turn of the century, France controlled ten separate countries across the continent, stretching from the Atlantic Ocean to the heart of Africa. This of course gave a significant trading and transportation advantage to Paris. The final link-up of the French transportation system was to take place in the Chad basin, when two French columns marched on the warlord Rabeh ibn Abdullah. They were defeated by Rabeh, but were soon reinforced. In 1900, three separate detachments marching from Brazzaville in the south, Niger in the west, and north from Tunisia across the desert killed Rabeh and routed his army, giving the French a clear, 3,000 mile route from the Niger River to the Nile. The final step for their grandiose east-west trade route was to link Senegal on the Atlantic Ocean to Djibouti in the Gulf of Aden. The crossroads lay in Fashoda. The British had been attempting a more ambitious feat: the north-south axis of Africa, from Cairo to Cape Town. The ideal route for Cecil Rhodes’ dream of a ‘Red Line’ railroad also went straight through Fashoda, and it was here that the two great powers faced off in a ‘polite’ battle. In July of 1898, a small French force marched to the fortress of Fashoda in the Sudan, and held it in an uneasy standoff with Sir Herbert Kitchener’s Nile Fleet of gunboats. London and Paris were both incensed by the others’ claim on Fashoda, and both began preparations for war, even going so far as to mobilize their respective fleets. Despite the numerical superiority of the French Army, the British held an edge in technology and an even more impressive one in sea power. The standoff lasted only four months, and when the Dreyfus Affair erupted for the second time in France, the French surrendered Fashoda to British control and withdrew its force from the Sudan. 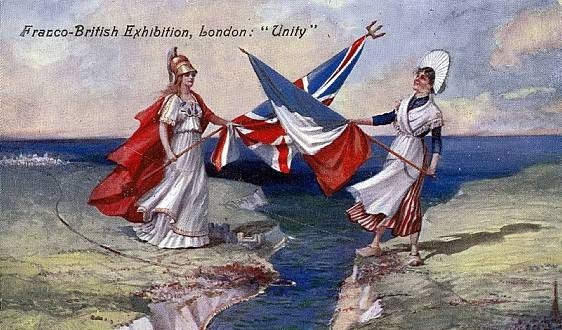 This fear of the British was a clear contributing factor to the formation of the entente cordiale prior to World War I, when Paris decided it would be more advantageous to have Britain as a friend an ally than as an imperial rival. In no small way, Fashoda helped to end the traditional enmity between France and Britain that had lasted for nearly a millennium. Fashoda also precipitated the upcoming series of clashes that would drag the world towards war. The two Moroccan Crises of 1905 and 1911 and the Bosnian Crisis of 1908 only served to strengthen the entente cordiale and estrange the Austro-German bloc, as Britain and France saw their fears of German imperial encroachment fully realized. In addition to their newfound appreciation for cooperation, both London and Paris undertook a program of reinforcing and reorganizing their respective overseas colonial forces, as both a mechanism for further expansion and as defense against any future German designs on their colonies. When the Great War broke out, the colonial troops of Britain and France were better-prepared than the European armies they had been patterned after.